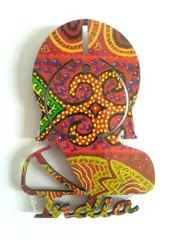 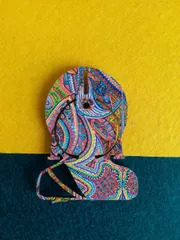 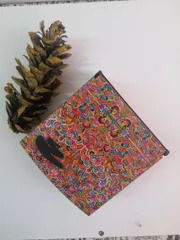 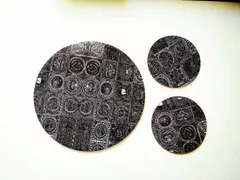 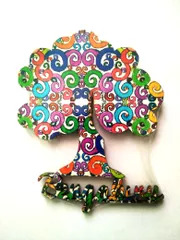 This is a handcrafted wooden oval magnet with Khyati's 'Vibgyorise' artwork. 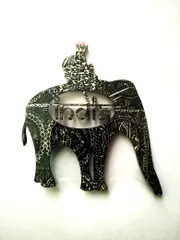 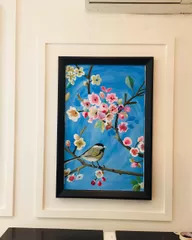 Each piece is unique and handcrafted by the artist herself. 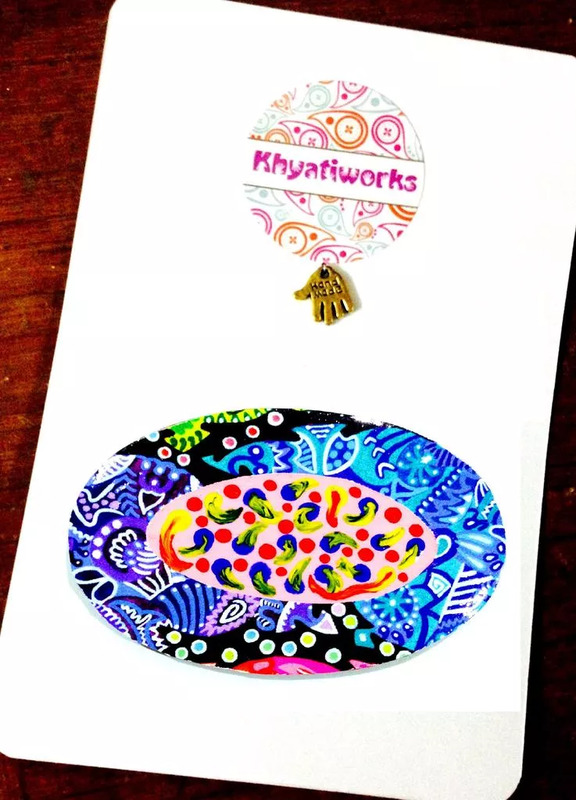 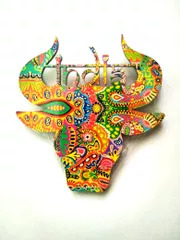 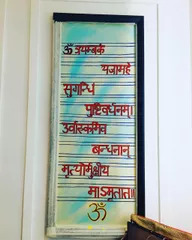 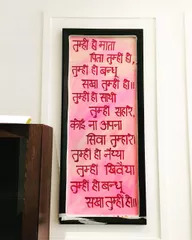 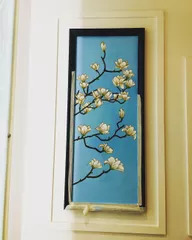 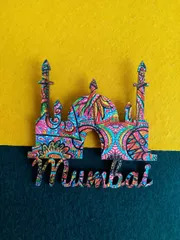 So take a souvenir of Khyati's art for your home in the form of a beautiful Fridge Magnet.